Workforce Solutions at Northeast State is offering the American Sign Language (ASL) for Beginners course this spring at the main campus in Blountville. The class will meet Wednesday evenings from 6 p.m. – 8 p.m. from March 14 to April 25. Participants will build their sign vocabulary as well as learn the grammatical structure. The course also provides insight into Deaf culture. Expressive and receptive skills in the language will also be developed. At the completion of the course, participants should be able to communicate with the deaf on a basic level. The course fee is $140 and includes the textbook. The course is open to anyone interested in learning ASL. Priority registration is March 7. For more information, contact 423.354.2570 or e-mail cmtauscher@NortheastState.edu. 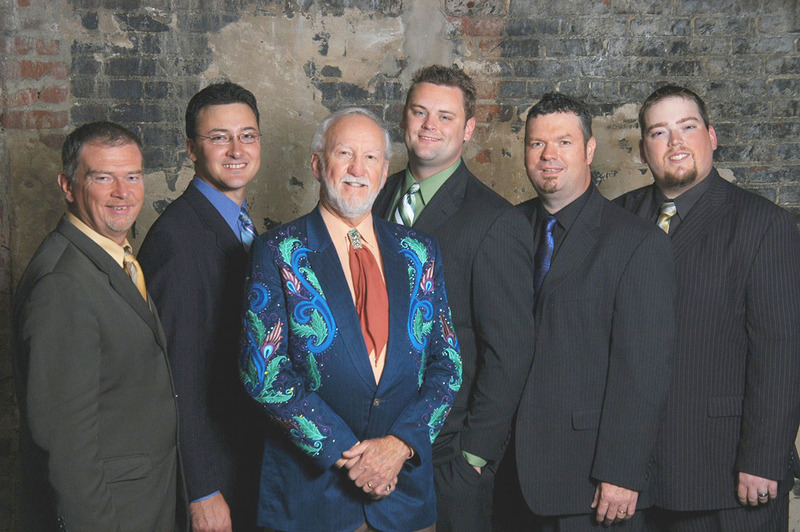 Bluegrass legend Doyle Lawson and his band Quicksilver perform at the Wellmont Regional Center for the Performing Arts on Northeast State’s main campus at 7 p.m. on March 10. Over his 40-year career in music, Doyle Lawson – singer, multi-instrumentalist, and bandleader – has become one of the most respected names in bluegrass. Lawson’s name has been synonymous with high-octane acoustic bluegrass music. DLQ burst onto the national spotlight in 1996 when their album, There’s a Light Guiding Me earned a Grammy Award for Best Bluegrass Album. They went on to receive three more Grammy nominations in the Best Bluegrass Album category. Lawson, winner of the National Endowment for the Arts National Heritage Fellowship, has garnered no less than 14 International Bluegrass Music Awards and four Grammy nominations. The band also earned four previous Dove Award nominations for the Best Bluegrass Gospel Album and Best Bluegrass Gospel Song awards. Lawson began playing the mandolin at age 12 and picked up the guitar and banjo soon thereafter. He founded Quicksilver in 1979 and began a decade-long rise as one of the genre’s most popular and critically praised artists. Although the lineup has changed many times over the years, the DLQ sound remains true to its founder’s intentions. Advance tickets are $20 each and can be purchased at www.NortheastState.edu. For information call the Northeast State Box Office at 423.354.5173. Northeast State was named top blood drive sponsor among area colleges recently at the Marsh Regional Blood Center’s annual awards luncheon. In 2011, the College collected 363 units in five drives on the Blountville campus, two drives at Northeast State at Kingsport, and one drive at Northeast State at Elizabethton. Other top schools included the University of Virginia’s College at Wise with 292 units and Mountain Empire Community College with 273 units. Robertson said spring blood drives are slated March 28 on the Blountville campus and at Northeast State at Kingsport. Marsh Regional Blood Center has been the largest hometown supplier of blood and blood products in Northeast Tennessee and Southwest Virginia for more than 60 years. Since establishing the region’s first independent blood bank in Kingsport, Tenn., in 1947, the mission of Marsh Regional has been to collect and maintain blood supplies to meet local needs. Today, Marsh Regional supplies 22 medical facilities. High school seniors graduating this spring can submit an Educate and Grow Scholarship application now to Northeast State. High school seniors – including home-schooled students – residing in Carter, Johnson, Sullivan, Unicoi, and Washington counties are eligible to apply for Educate and Grow. A student can download an application at www.educateandgrow.com. The deadline to submit an application is March 31. An eligible applicant must be a high school senior graduating this spring and have a custodial parent or court-appointed legal guardian who has resided within their county of residence for 12 months prior to the applicant’s high school graduation date. An applicant must enroll at Northeast State as a degree-seeking student for the 2012 fall semester. Educate and Grow Scholarship Program criteria require completion of the Free Application for Federal Student Aid (FAFSA) annually as part of the application process. Students may access FAFSA (www.fafsa.gov) on the “Financial Aid” link at www.NortheastState.edu. Contact the College’s office of Financial Aid at 423.323.0252 with questions about FAFSA. Applications can also be picked up at Northeast State sites in Blountville, Kingsport, and Elizabethton. Scholarship award amounts depend on the number of students in the program and the availability of funds. Completed applications must be submitted in person at the office of Scholarship Programs, F100 of the Faculty Building at the main campus, 2425 Highway 75, adjacent to Tri-Cities Regional Airport. For more information, contact the office for Scholarship Programs at 423.354.2507 or e-mail ecblevins@NortheastState.edu. Step Afrika! performs tonight at 7 p.m. Step Afrika! takes the stage tonight at 7 p.m. in the Wellmont Regional Center for the Performing Arts. The show is free and open to all.